The Museo Bagatti Valsecchi, Casa Boschi di Stefano, Villa Necchi Campiglio and the Museo Poldi Pezzoli are proud to present, in collaboration with Cosmit and the Culture Council of Milan, the exhibition Unexpected Guests. Yesterday’s homes, today’s design. 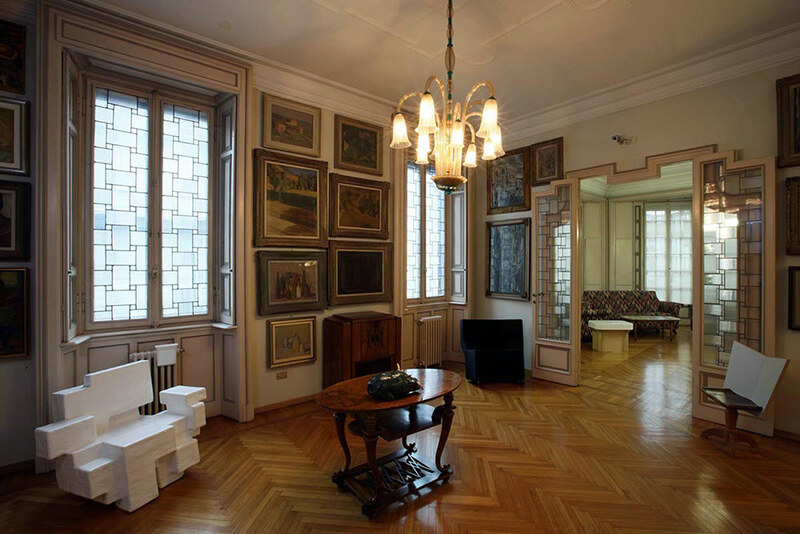 From 11 March to 2 May 2010, objects of contemporary design will be installed in the spaces of Milan’s four historic house museums, complementing and contrasting with the existing architecture, paintings and decorative arts. The carefully calibrated installation, designed with a delicate touch that is almost imperceptible, results in a surprising and spontaneous whole. The aim of the show is to provoke a dialogue between the signifiers of our own time and those of past epochs, offering the possibility of a parallel reading of the high craftsmanship of the past and the equally masterful techniques of contemporary industrial production. Curated by Beppe Finessi and collaborator Cristina Miglio, with coordinated images by Italo Lupi, the exhibition juxtaposes contemporary design, by nature projected toward the future, with the rich and unique history of the four house museums, generating a fascinating interpenetration of present and past that combines historic works of art, the splendid spaces that contain them and the way of life they represent, composed over centuries by the original inhabitants and their heirs, with the signature objects of our own time. More than 200 works of contemporary design will be set in the evocative atmospheres of the four historic houses, ranging from houseware to furniture, which together represent the best of the design of the new millennium. In selecting the objects for the exhibition, the curators saw certain common features of recent design emerge: on the one hand, a significant expansion of the product categories addressed by designers (carpets, stools, tableware, luggage, watches, etc) with respect to the past preference for designing only chairs and lamps; on the other hand, the tendency toward an elaborate, more decorative imagery attuned to the evolutions of fashion and the oscillations of taste. This gives rise to the use of new materials and technologies that lead to experimentation that was unthinkable only a few years ago.